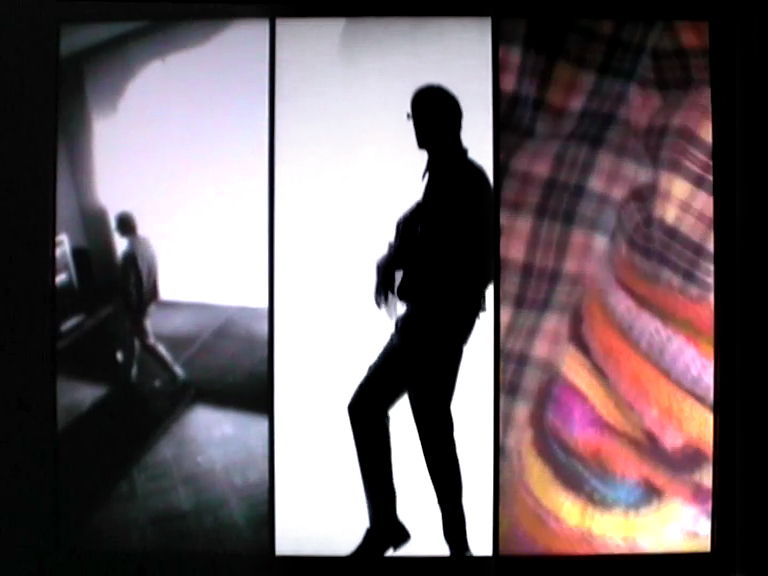 Based on the idea behind the collection “Stadt-Mensch-Medien” of Bettina John, we developed a fashion show which is live but only seen through video cameras on a large wall. The screen is divided into three views which act as filters and show only fractions of the model. Left a blurry surveillance camera, in the middle only the silhouette and at the right only colours and details. The final image is in the imagination of the viewer.